Channel the 80s and 90s with these rare, vintage finds. 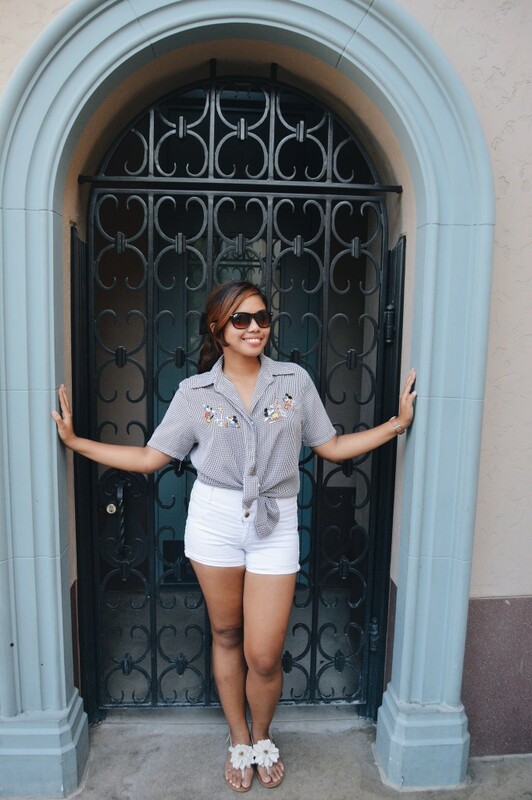 On Dapper Day last month, looks inspired by the fashion of the 20’s–70’s were worn to the parks. 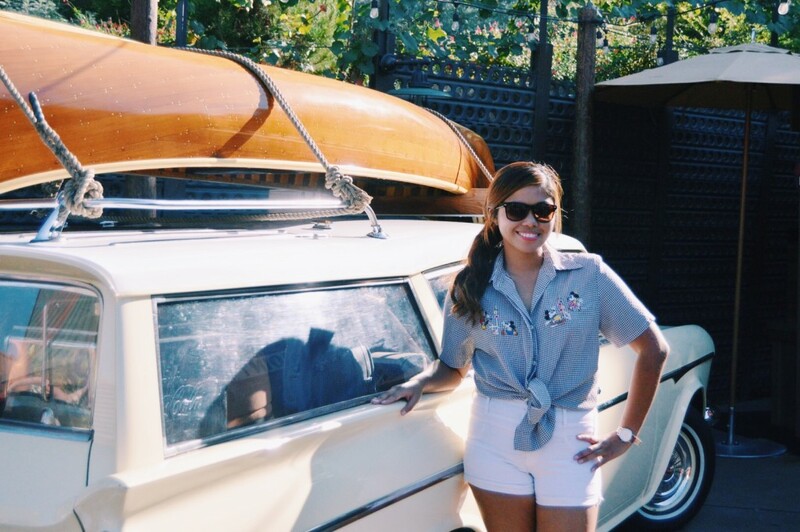 While perusing many vintage shops in search of the perfect Dapper Day outfit, I discovered a treasure trove of vintage Disney apparel from the 80s and 90s. This time period also coincides with the “Disney Renaissance,” a golden age for Walt Disney Studios’ animated films. Since this era in fashion was characterized by more durable fabric and embellishments such as denim and embroidery, many of these pieces are in excellent condition to incorporate into your wardrobe today. Memo’s Vintage, just five miles north of the Disneyland Resort, has a considerable collection of vintage Disney apparel. They receive new shipments every Friday, and all items are washed before they are hung on the racks for sale. 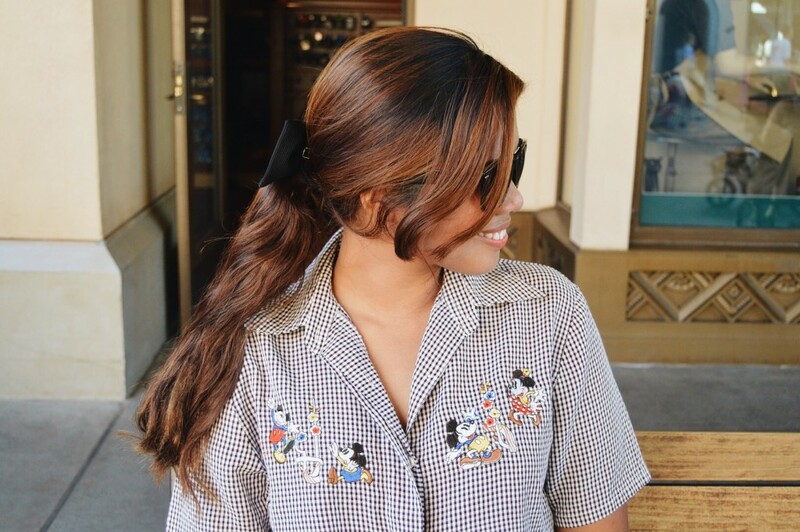 “Our [vintage Disney items] go fast because everyone goes to Disneyland and it’s so close,” says Nina, an employee at the Downtown Fullerton vintage clothing store. 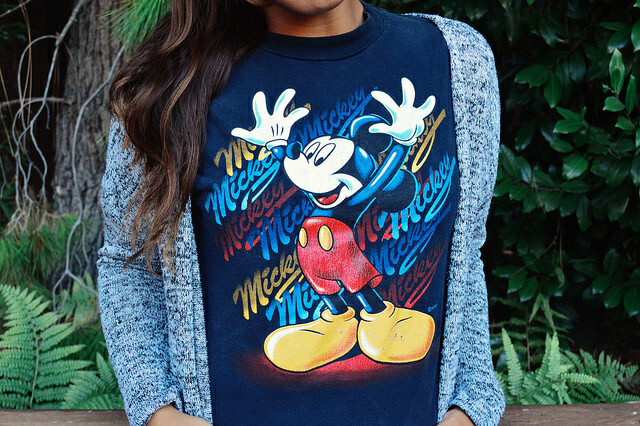 While shopping for vintage Disney apparel, keep in mind that there is a distinction between vintage and thrifted items. If you go to a thrift store such as Goodwill, you will find more modern, contemporary styles, whereas if you go to a vintage clothing store, you will find rare, one-of-a-kind styles from different eras. If you don’t find what you’re looking for right away, don’t despair. The most rewarding feeling is stumbling upon the perfect piece in the most unexpected way. This was a graphic tee stylized as a crop top by the previous owner or seller. 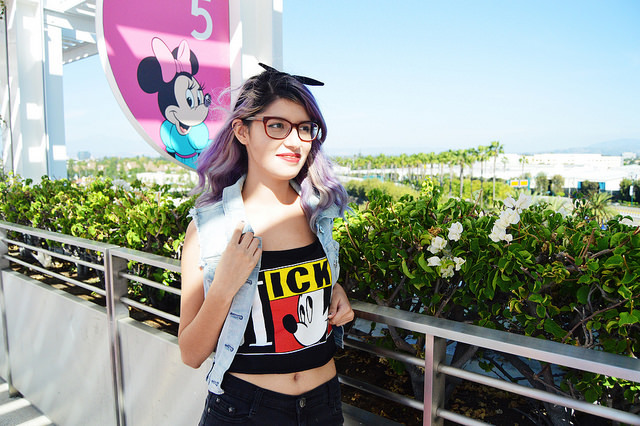 Turning oversized tees into more fitted crop tops is a resourceful way to upcycle vintage items. My best friend, Griselda Moreno, modeling this 90s grunge look with pieces from her personal wardrobe. 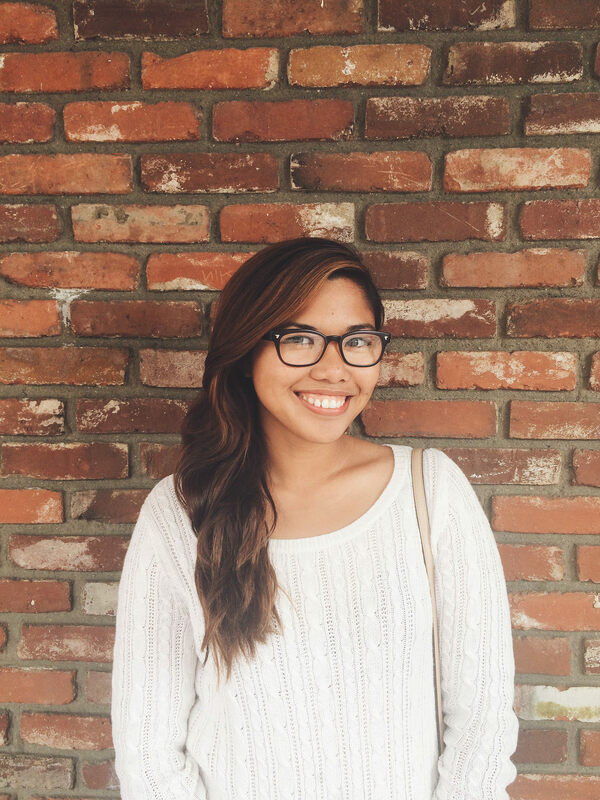 This button-down is a sentimental piece for me as it once belonged to my late grandmother. The lively and animated detail of the embroidered patches truly bring the magic of early Disney cartoons to life. This graphic tee surprised me with its vibrant colors, despite being a vintage item. The graphic is well-designed with stylized lettering and shading to add depth and perspective. 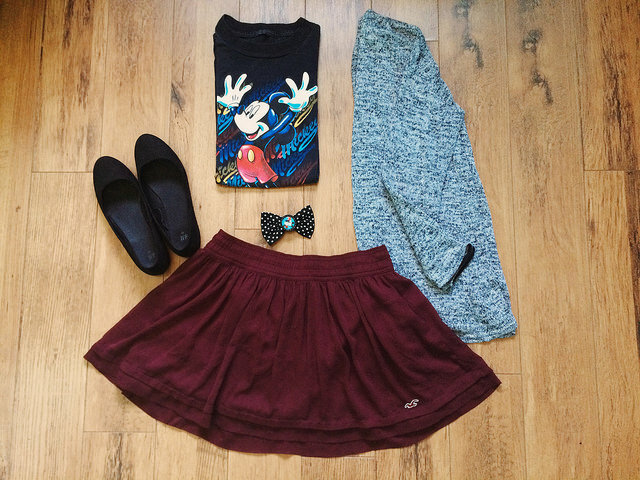 Next time you find yourself in a vintage shop, keep an eye out for Mickey. 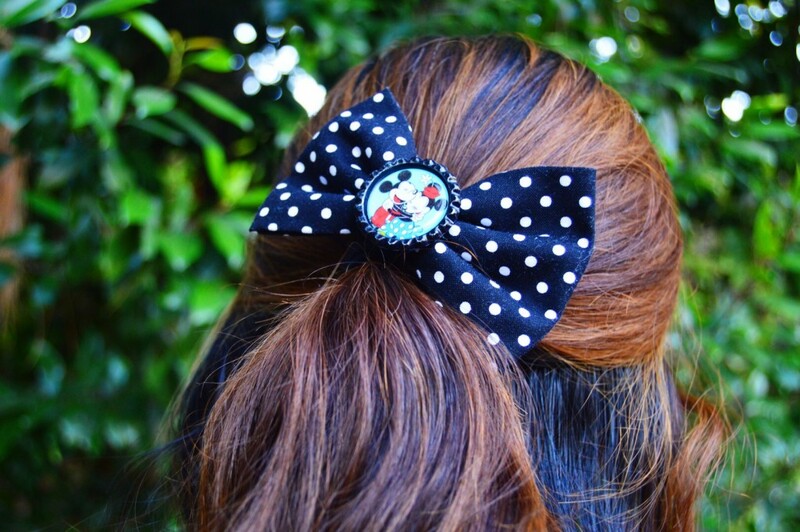 You never know what great vintage Disney piece you’ll find! 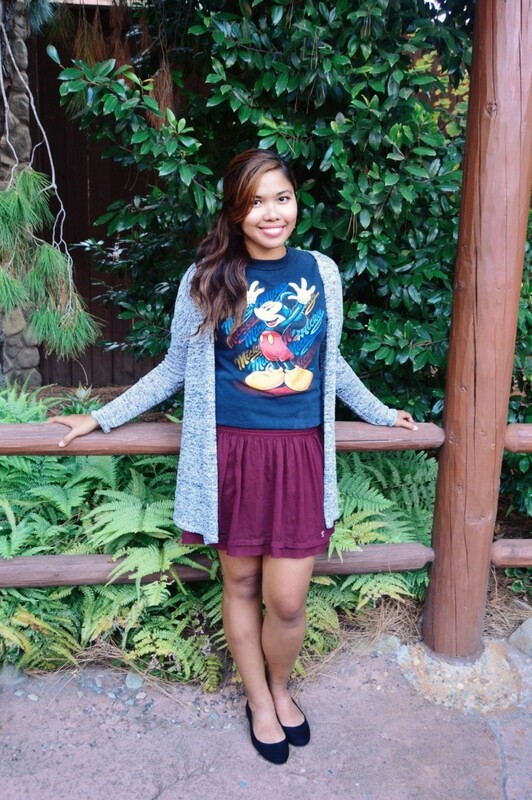 To see more Dapper Day outfits, click here to see what our staff came up with for both ladies and men.